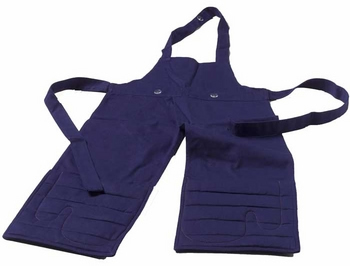 Pretty awesome: this apron has two padded oven mitts, sewn right in. But it gets even better: it hhas two buttons on the sides to hang towels from. 25 bucks!